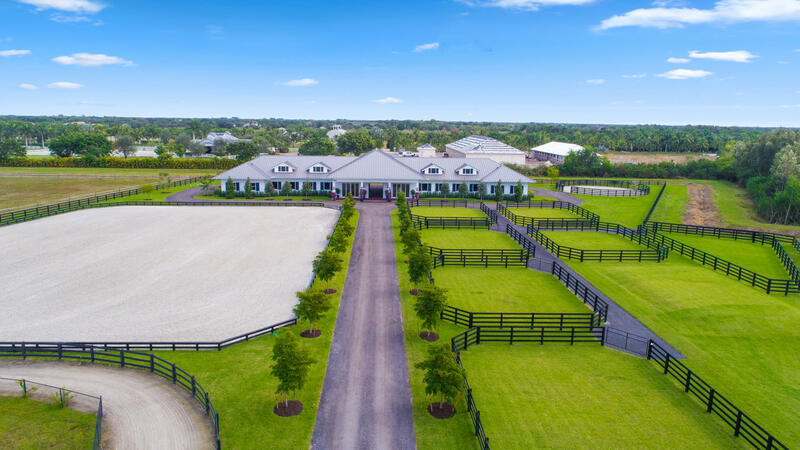 All Saddle Club Of Wellington homes currently listed for sale in Wellington as of 04/21/2019 are shown below. You can change the search criteria at any time by pressing the 'Change Search' button below. "Location, Location, Location ! !Gated community one mile from the show grounds, property enjoys direct land access to bridle path that leads to WEF. Fabulous equestrian facility sits on more than 5 acres with another 2 parcels adjacent available. New construction with high level of finish and trim: Barn with 18 stalls ( Rowe - 14x14 ), includes two grooms apartments with 2 bedrooms each, office, laundry area, tack room, toilet, four grooming stalls, four washing stalls, cover manure, three storage garages, round pen, GTC all weather ring, 7 paddocks, and more. Property over - looking a beautiful lake view and an incredible sunset view. Definitely a must see!"